Whether your auto accident was big or small, you deserve all the answers. In fact, speaking to the right auto accident attorney in California can definitely put your mind at ease. At A1 Accident Lawyer, we are completely dedicated to helping you in your hour of need. By focusing in accident injury law, we know what it takes to provide you the best assistance by building a strong claim against the insurance company. The aftermath of the accident can leave you traumatized and in pain as well as leave you with several unanswered questions. If you don’t have proper knowledge, the insurer WILL take total advantage of you and devalue your claim. With A1 Accident Lawyer by your side, you won’t have anything to lose but everything to gain. Moreover, our dedicated auto accident attorney in Los Angeles fights aggressively and constantly till you receive the maximum compensation. Regardless of the severity of the auto accident, it is important to promptly seek medical attention to determine the seriousness of the injury suffered. 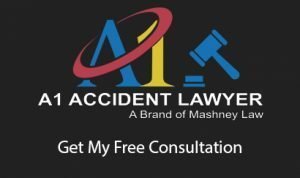 At A1 Accident Lawyer, our seasoned auto accident attorney in Los Angeles priority is to help you get back on your feet. If you want a free consultation, get in touch with our team. We would definitely help you. Medical and rehabilitative expenses, past & future. At A1 Accident Lawyer, we are well prepared to fight for you vigorously and ensure that you get every last dollar you deserve. Our auto accident attorney in California is here to assist you in every step of the way till you are compensated. Call us at (714) 535-5090. We will help you make well-educated decision to secure yourself and your future. Since the long-term effects of the injuries can’t always be determined, it is important to consider the potential for future loss of wages and loss of income. You might also have to undergo surgery at some point of time. Now, as the needs are impossible to predict, our savvy Los Angeles auto accident lawyer is well-schooled in the possible medical complications that may occur. That’s not all, they also work using properly crafted formulas to assess as closely as possible, what your future needs would cost. Your insurer is not willing to help you as we do. It is really unfortunate, but insurance companies look for profit only. Depending on California Law, you might find it difficult to obtain compensation without assistance. At A1 Accident Lawyer, our dedicated team of Los Angeles auto accident lawyer leaves no stone unturned to offer you the right guidance and assistance. If the accident was caused due to driver negligence, it will our responsibility to build a strong case against the careless driver. Don’t worry, our efficient auto accident attorney Orange County comes to your rescue. Contact us at (714) 535-5090 to get proper answers to your auto accident case and to get insight on legal assistance. Our Orange County auto accident lawyer is capable of handling all types of auto accident cases.